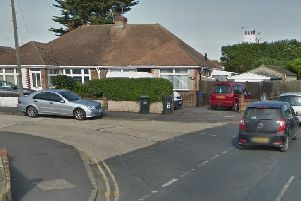 Officers attended three addresses in Worthing at shortly after 7am today and arrested two women aged 23 and 49 and a 39-year-old man on suspicion of murder, police confirmed. A fourth person, a 20-year-old man, was arrested on suspicion of murder in Aylesbury, Buckinghamshire, just after 9am, police added. All four remained in custody on Thursday morning, police said. Stephen, 58, was found dead in his flat in Tarring Road, West Worthing just before 5.30pm on October 27, 2017, police said. He had sustained serious injuries consistent with a physical assault, said police. In an emotional appeal issued last year, his father Ian Frith described Stephen, a former jockey, as a ‘gentle’ man. Anyone with information about his murder is asked to report online or call 101 quoting Operation Clyde.